Years ago, when I was asked to be a bridesmaid, I bought a lilac silk shantung dress that has never seen the light of day since! Many of you probably have the same issue with evening / formal wear — how can we bring them into the day light and get some more bang for our buck? Thank goodness there is this new trend of wearing a dress over a shirt. Celebrities, style icons, and fashion bloggers all have been seen in this trend; now we can also explore ways to incorporate it into our daily wardrobe. First thing in order is to find the right top to go with an evening dress so it can turn down a notch the mega-watts the dress was designed to generate. Don’t be afraid to play with texture, denim versus sequins, cotton versus silk, knit versus leather; all have proven to be successful duos. 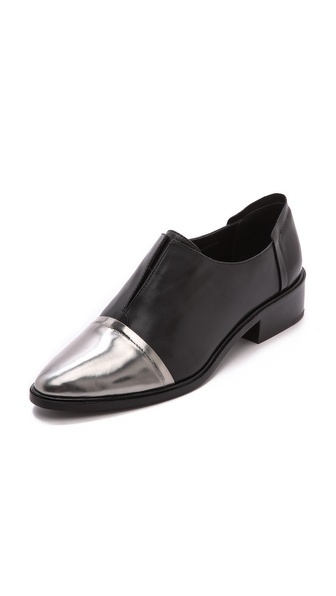 Secondly, pick your evening wear strategically. Not all of them are suitable for day time, for instance floor sweeping ball gowns is a NO, no matter how you swing it. 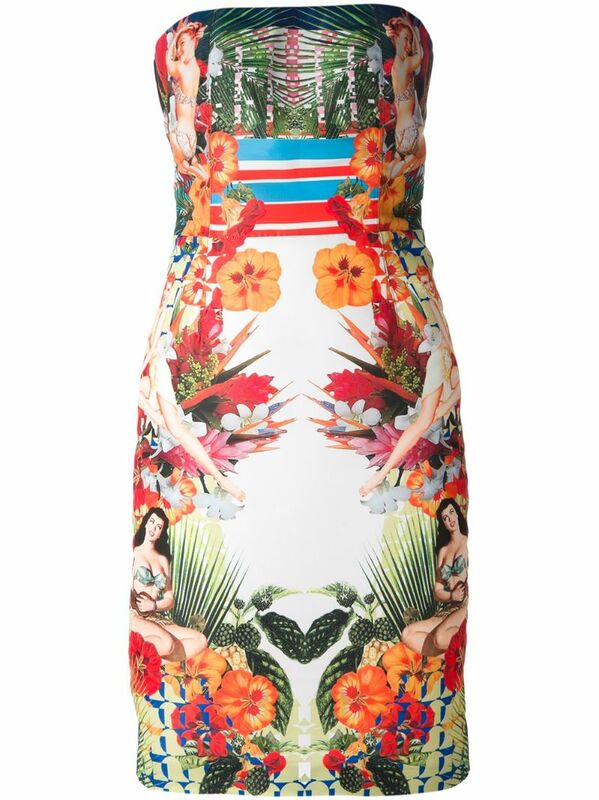 Strapless cocktail dresses that have minimum designs are the best. Once I wore a printed silk dress over a satin button-down to my son’s school luncheon, it was on the dressy side but definitely not overpowering. 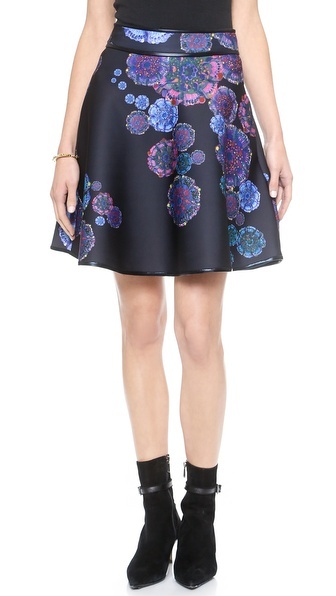 (Pictured above: Finders Keepers Final Hope Bustier Skater Dress – $212.24. Here is another example of a dress over a shirt. Since the dress is wool it is a bit more casual than a silk number, so you can pair it with an even wider variety of tops such as tissue-thin t-shirts, plaid blouses, etc. See similar dresses here: Smai NYC strapless Brocade Dress $58.8, Topshop Strapless Bodycon Dress ($64) & Marc by Marc Jacobs Wool Fit & Flare Dress ($698). 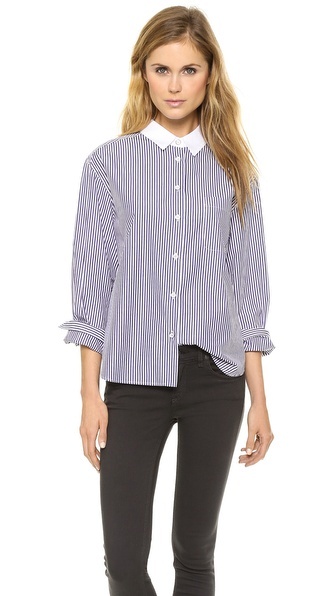 See similar Shirts here: Rag & Bone JoAnne Shirt ($295) & BOSS ‘Bashina’ Fitted Cotton Blend Pinstripe V-Neck Blouse ($112). See similar pumps here: Mia Mona Dress Pump ($48-$59) & Kenneth Cole Pearl Pump ($150). Sometimes, it doesn’t even have to be a dress. I have this corset top that can be very formal if needed, but at the same time, I can wear it as if it is a vest over different shirts for a number of occasions. See similar bustiers here: Finders Keeping Sitting Waiting Wishing Top, Nast Gal Night Owl By Gal Night Owl Bustierustier ($58) & Finders Keepers Jump Then Fall Bustier ($140). See similar blouses here: Rachel Zoe Silk Chiffon Blouse ($250) & 7 For All Mankind Shirred Lace Cropped Blouse ($215). 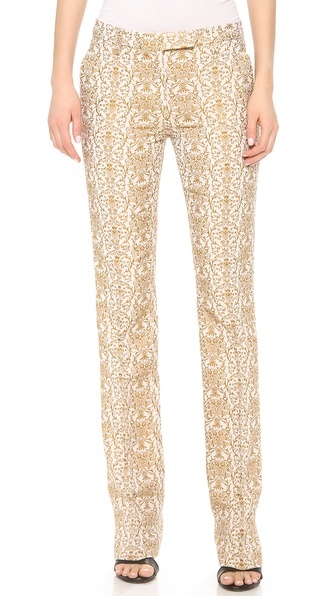 See similar pants here: Kenzo Clouded Leopard Jacquard Trouser ($291) & True Royal Jacquard Pants ($139). 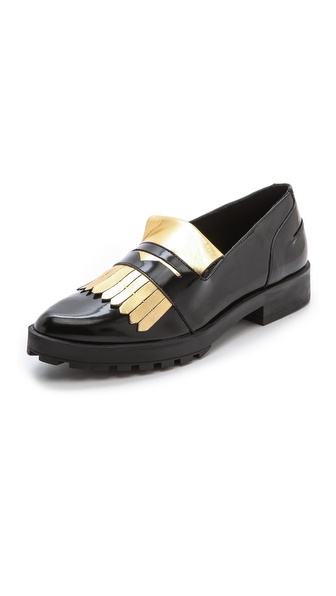 See similar shoes here: Miista Randi Two Tone Loafers ($202) & Rachel Zoe Raven Cap Toe Oxfords ($295). See similar corsets here: JOSH GOOT sculptural corset & White House Black Market Mesh Trim Ponte Corset ($39.99). 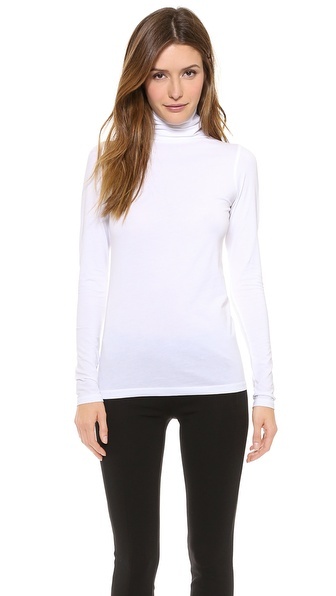 See similar turtlenecks: Vince Favorite Turtleneck ($95) & Eileen Fisher Scrunch Neck Top ($98). See similar Sandals here: Carvelar Kurt Geiger Gladiator Lace Up Sandals ($175) & Malene Birger Petrea Lace Up Sandals ($178). I hope this has inspired you to try out some combos on your own. Here are a few items you can use to simulate the looks.